Hey, Everyone! I’m so excited to be starting our Letter of the Week Snack Ideas back up for the year! We left off back in November with the Letter Q and then took a break through the holidays. Today we’re starting back up for the year with the Letter R.
If this is your first visit let me explain it to you. Every week here at Crystal and Comp., we share a new letter of the week snack that you can use for your preschoolers that are just learning their letters or for older kids who may be learning to read and working on letter sounds. These pair well with our Letter of the Week Craft ideas, where you can find a craft for every letter in the alphabet as well! 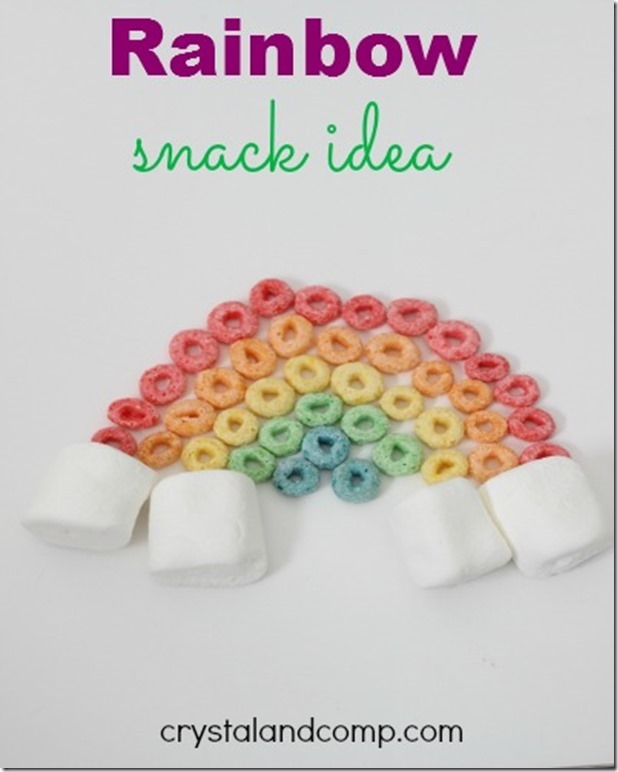 This week is the Letter R and we have a simple Rainbow Snack Idea for you to make with a box of Fruit Loops! Make a rainbow using the different colors of Fruit Loops and adding the marshmallows as the clouds! Simple and the kids will love it! This is adorable! It would be fun to make and eat! What an adorable snack! Featured you on Mom’s Library this week!